The legendary O’Jays lead singer speaks exclusively with TFSR about his new music, his career, and Brandy the dog. How do you react when you get an email that Eddie Levert, co-founder and co-lead singer of The O’Jays, would very much like to do an interview with you? Well, for us, we immediately turned to our vinyl collection and put ‘Love Train’ on repeat. As soulies everywhere know, Eddie Levert is one of the greatest singers and performers of all-time. Along with friend and bandmate Walter Williams, Levert has been recording and performing with The O’Jays for over half a century. Together they have crafted hit aft hit, creating classics such as ‘Backstabbers’, ‘For The Love of Money’, and ‘I Love Music’. They’ve released eight top twenty albums, they’ve been awarded the BET Lifetime Achievement Award, and they’ve been inducted into the Rock and Roll Hall of Fame. And now, one of them wanted to speak to us. But what about his singling out of Bill O’Reilly? Would Bill, famous for his seemingly un-ironic use of the slogan ‘no spin-zone’ , be welcome at an O’Jays concert? “We were all in school together and we were doing semester exams, and doing those exams you only go to school half a day. So we were messing around after that half day in school, we got in the hallway, you know just goofing off, and we started harmonising together. Then because of the how sound resonated in the hallway it started really great, so we all go together: me, Walt Williams, William Powell, Bill Isles and Bobby Massey. So we started out practicing at Bobby’s house and we ran into a DJ by the name of Eddie O’Jay, and we went to Cincinnati and recorded some music down there in James Brown’s country. 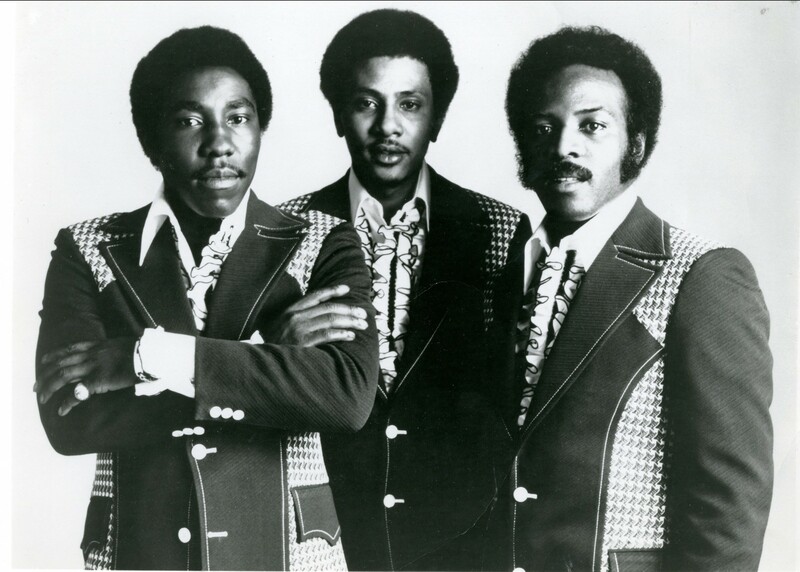 We did a song called Lonely Rain and that was the first record we did as The O’Jays. “Then we started doing what they called ‘Beach Music’, that was when we did Lipstick Traces and Lonely Drifter and that stuff. We were categorised alongside Jan & Dean and The Beach Boys. We were pop before we were R&B. We were not doing a lot of black gigs, what I mean is that we were not performing for a lot of black people, we were doing more crossover, white audiences and selling most of our records there. “So we wanted to get into R&B, and we went to New York to record with George Kerr and did the song I’ll Be Sweeter Tomorrow Than I Was Yesterday. That started us off in the R&B thing. Its a shame that no one new who we were in the black community until we started doing R&B records. Then we went from George Kerr to Philly International, and started doing stuff with Gamble and Huff. They were able to capitalise on our gospel background and brought us into R&B music. “Before that we lost Bill Isles to love. He fell in love with a girl in California and we went on vacation and we said we would meet back in like two weeks, and he never came back. Love got him! Bobby Massey went to learn about the industry, about how publishing and all that worked he wanted to be more involved in the business side. He tried to incorporate us into that, but we wanted to be stars on stage and weren’t thinking about the business. So we lost him to the business. Interestingly, compared to other R&B/soul groups, mentioning no names, The O’Jay’s line-up has been remarkably consistent: both lead singers, Eddie and Walter, have remained since the group’s founding, bringing in a third singer when William Powell died in 1977, hiring Sammy Strain (an original member with Little Anthony & The Imperials) to replace him, and later Eric Nolan Grant to replace Strain, who left to rejoin The Imperials. For those of us based in the UK, seeing The O’Jays visit is a rarity. The last time the group performed on these shores was back in 2014 for two dates in London, their first UK dates in over twenty years. Yet, despite not regular visitor to the UK, Eddie enthuses about his UK fans and what they mean to him and The O’Jays. Indeed, he’s quick to point out that “[w]e recorded Live in London over there, a great great record for us”. Of course, Eddie’s life has not been without tragedy and heartache. He was the father of two sons who followed him into the music industry, Gerald and Sean, two of the group nineties supergroup Levert. In an unbelievably sad turn of events, Gerald died in 2006 and Sean died just two years later. Eddie and Gerald had spent a lot of time together performing and recording, including the brilliant album Father & Son which features some of Eddie’s best vocal performances. So then, what does Eddie make of his legacy and the fact that his music is still being played and discovered today?